Charles Cecil has been a key figure in the interactive entertainment industry for over 30 years. In 1981, to subsidise himself at college, he started writing adventure games for one of UK’s first games publishers, Artic Computing. His titles included Inca Curse (published in 1981), Ship of Doom (published in 1982), and Espionage Island (published in 1982). During this time, Charles was invited to join Artic Computing as a Director. After completing his degree in 1985, Charles set up Paragon Programming, a development company working primarily with the major British publisher US Gold. In 1987 he was approached to head the development team for US Gold. In 1988 he was poached by Activision to manage their European development studios. In 1990 Charles founded Revolution Software. Revolution quickly established itself as one of the world’s leading adventure game developer with a string of successful titles, all of which have been critically acclaimed and commercial hits. Clients have included Sony Computer Entertainment, Disney, DreamWorks, Virgin Interactive, Eidos, Sierra (Vivendi), UbiSoft and THQ. On the strength of considerable critical acclaim, Revolution’s first two original titles, Lure of the Temptress (published in 1992) and Beneath a Steel Sky (published in 1994) went straight to number one in the GALLUP charts in the UK and topped charts across much of Europe. The next titles, Broken Sword – shadow of the Templars (published in 1996) and its sequel Broken Sword 2 – the smoking mirror (published in 1997) both, in turn, received awards as the best adventure of the year as well as the best adventure to date. Sales of these titles have exceeded one million units each. The third game in the Broken Sword series, Broken Sword: The Sleeping Dragon, was released in November 2003 on PC, PlayStation2, and X-Box. As well as receiving reviews of 9/10 from Edge, 9/10 from Official Xbox, and 87% from PC Gamer, the game was shortlisted for 3 BAFTA awards and Best Writing at the Game Developer Conference in 2004. 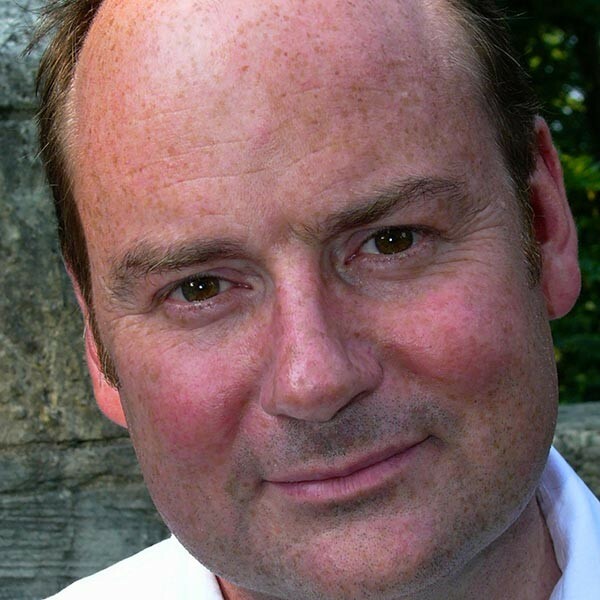 Charles acted as an Executive Producer for the game of The Da Vinci Code, which released in May 2006, having designed the game’s story and puzzle structure – which, when announced, attracted the following comment from Guardian Online (the Guardian being one of the most influential UK broadsheets) ‘The good (news) is that Charles Cecil, of Broken Sword fame, is involved in the development… How involved Cecil is in the development looks like being the key to the quality of this game’. Charles is a pioneer of the much anticipated ‘Hollywood production’ model. Revolution now undertakes production in partnership with the most respected developers with experience and expertise relevant to the specific title. Revolution created the fourth Broken Sword game, Broken Sword: The Angel of Death with Sumo Digital who undertook the production. The game released in Europe in September 2006 and was nominated for the Best Script Award by the Writers’ Guild of Great Britain.